Brewhaha’s website was left in a bad state by a previous developer. The POS system was not connecting with the e-commerce inventory and images for products were broken as a result. I worked with PDG, the e-commerce provider, to re-establish a connection and sourced the inventory pictures. Then we developed a frontpage intro to the store and the shop’s history in the about page which was previously left blank. 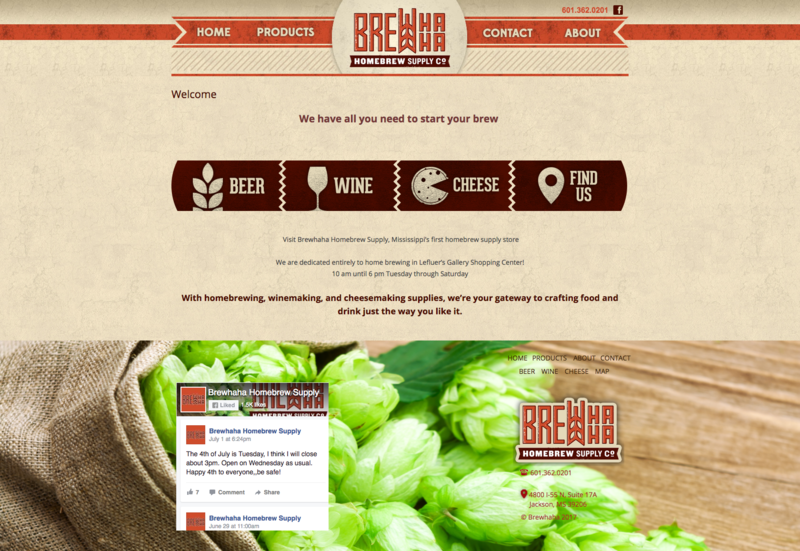 Finally, I recreated the footer to include the e-commerce logo that showcased the hops.